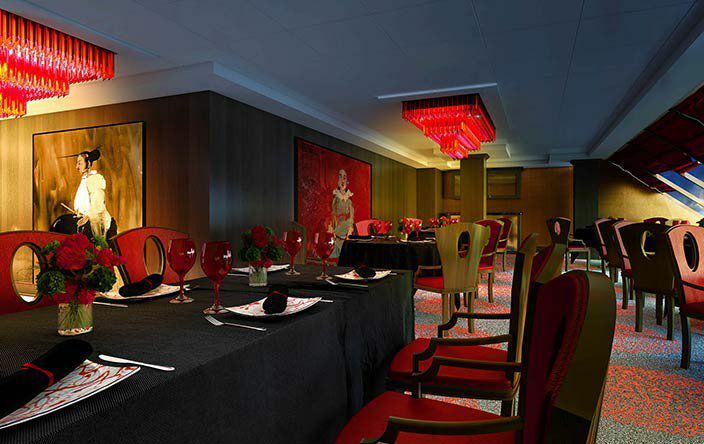 Oceania Cruises announced that Sirena – the newest member of the Oceania Cruises fleet - will feature two new speciality restaurants: Tuscan Steak and Red Ginger. Additionally, the line will transform the Grand Dining Room into Jacques Bistro for lunch, offering an exclusive menu featuring some of chef Jacques Pépin’s signature dishes. Sirena will be the first ship in the Oceania Cruises fleet to offer this collection of new dining options, providing guests with new culinary indulgences to explore. Tuscan Steak will be a completely new restaurant concept inspired by both Oceania Cruises’ traditional steak house, Polo Grill, and the line’s authentic Italian restaurant, Toscana, The menu offers steaks and seafood with a Tuscan flair served in an elegant, contemporary setting. Its menu will offer authentic favourites that celebrate the traditions of Italian dining, while continuing to offer savoury steakhouse fare. Red Ginger is the Asian-inspired restaurant currently available on Marina and Riviera. The restaurant’s décor features red crystal chandeliers, ebony wood furnishings and a collection of modern Asian artwork. The décor is a study in feng shui, and complements the restaurant’s Pan-Asian cuisine. The menu at Jacques Bistro will be seasonal in nature, with its hot weather menu focused on grilled and short-cooked fare, and its cold weather menu featuring more sauce- and casserole-oriented dishes. Sirena is scheduled to enter service on 27th April 2016, with a 14-night cruise from Barcelona to Venice. During its inaugural season, the ship will feature a mix of classic destinations and new ports of call, including the famed beaches of Gaeta, Italy; the rainforest of Golfito, Costa Rica; and the well-preserved provincial township of La Paz, Mexico. The recent expansion of OLife Advantage, the line’s early booking incentive programme, provides guests who book any suite or stateroom category on Sirena or any of its sister ships by 31st December 2015 with numerous complimentary amenities, including House Select Beverage Package, unlimited Internet and pre-paid gratuities.